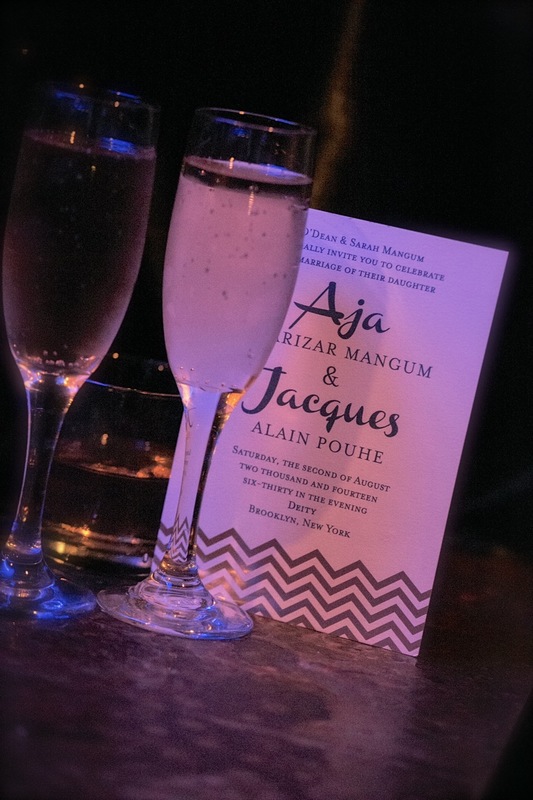 Aja & Jacques were married in August at Deity Wedding Venue in Downtown Brooklyn. The Vision of the Day was Summer, with a color theme of Blue & Cream. 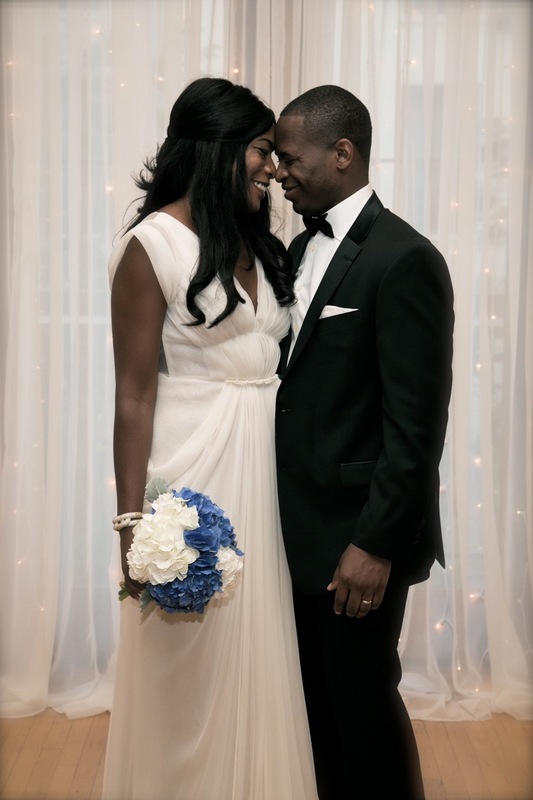 The Bride stunned a Grecian Style Chiffon Dress, perfect for the Season, while the Groom in a Classic Tux. 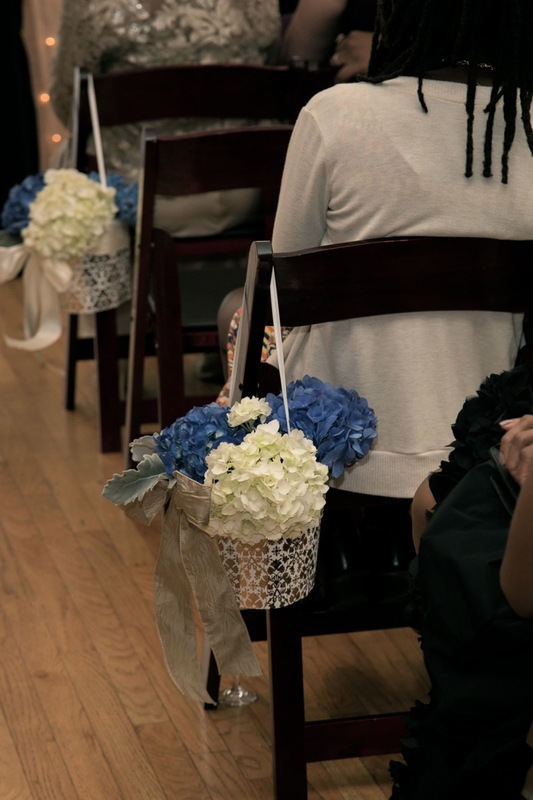 Florals of Cream and Blue Hydrangeas to carry on the Theme of the Day for the Ceremony were arranged by Kristine Dunson. 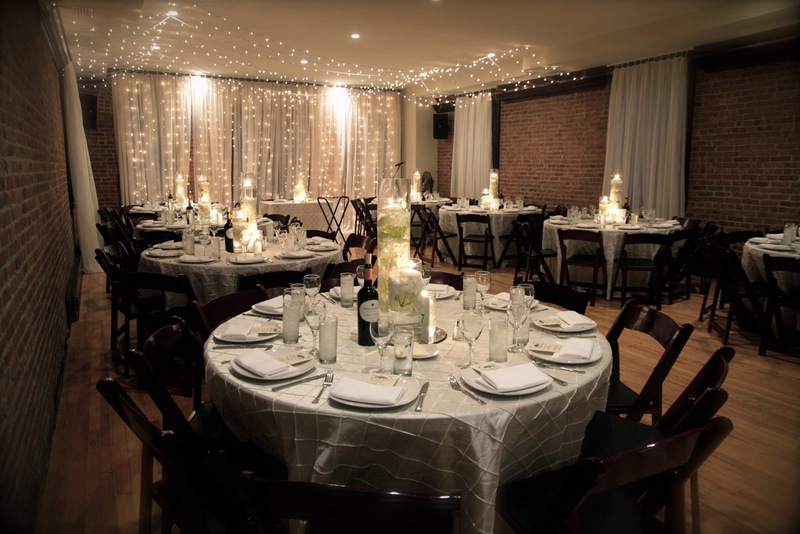 The Bride wanted a Romantic look for the Dinner that transitioned from Day to Evening. 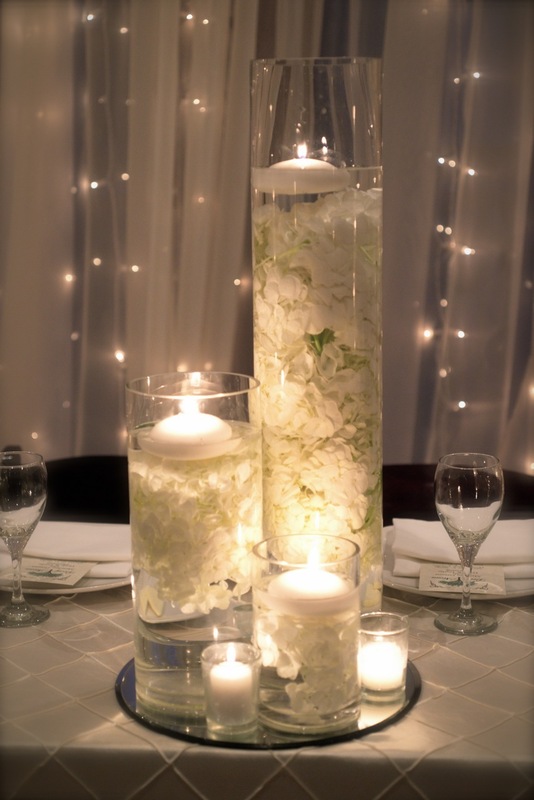 Tall Floating Hydrangea & Candle arrangements were Created for the Effect. 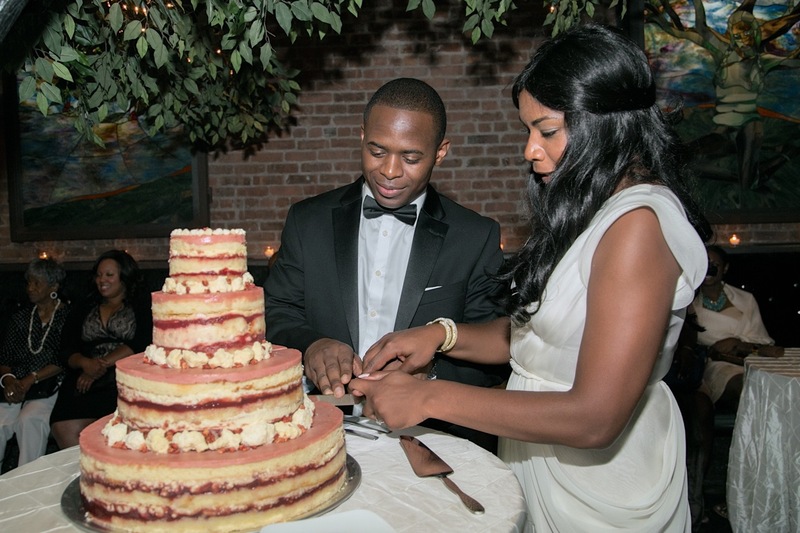 A custom Cream Cake by Momofuku Milk Bar added to the Festive Mood. Served under the Branches of Deity’s famous Tree for a Beautiful Summer Evening. 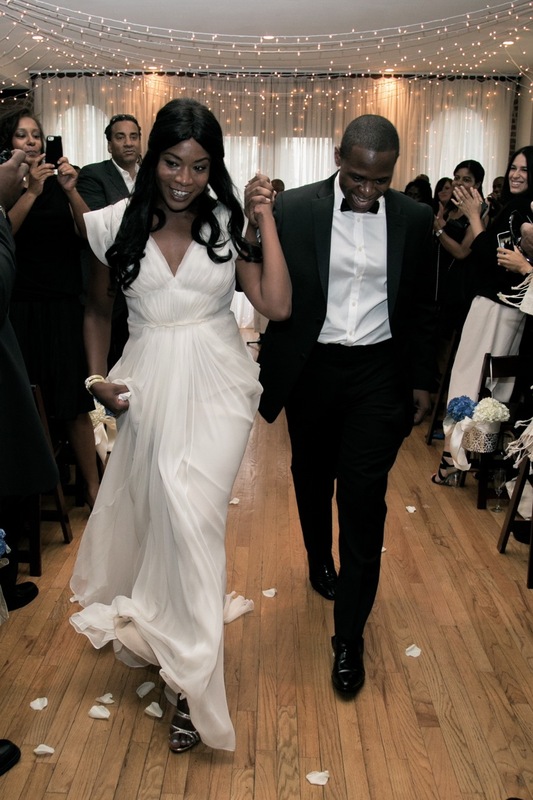 Photos provided courtesy of Teri Slotkin Photography.